Joe Rocket Jackets from Outer Space! Serving a large audience in the US, Joe Rocket has consistently offered ingenuity, style, and function in a package that won't break the bank. This year's release will bring 3 new jackets that are consistent with their reputation, though a bit more subtle in form. Though their names give the impression that they might have crash landed from a planet far beyond the outer rim, their clean lines and conservative branding make them an ideal choice for someone looking to fly under the radar. 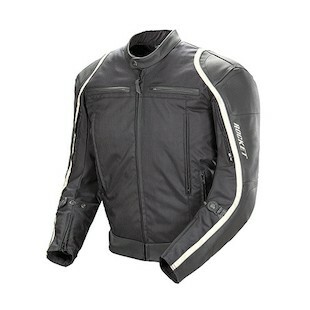 A mixture of leather and textile, the Joe Rocket Comet Jacket boasts cowhide protection on a lightweight RockTex chassis. The features are basic, but you get everything you would expect: pockets, adjustments, a pant attachment zipper, a ventilation system, and a removable insulated vest liner. The real accomplishment is giving you the complete package for under two bones. The Comet will be available in Black, or Black/Red. Both colorways feature a reflective white stripe that extends up the arms and around the shoulders for increased visibility. If the rock you call home resides a bit closer to the sun, you might want to shift your focus to the Joe Rocket Reactor 3.0 Jacket. Similar to the Comet, but with a slightly more aggressive style, the Reactor 3.0 swaps textile for mesh. 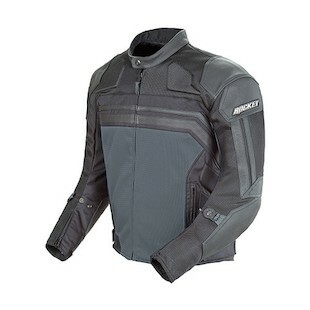 Once again, leather protects you along the impact zones, but this time the chest, back, and arm interiors are constructed with FreeAir mesh paneling throughout. The other important distinction is the presence of a removable windproof liner instead of a thermal layer. The Reactor Jacket will be available in Black, Black/Red, Black/Blue, and Black/Gunmetal. 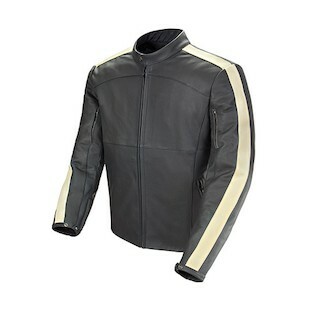 Clearly the most down-to-earth option, the Joe Rocket Speedway Jacket is a full leather jacket made from premium natural 1.2mm drum-dyed cowhide. While still boasting many of the same features, the Speedway is built around a sleek, clean design with extremely limited branding. This stealth rocket ship of a jacket will include a full sleeve quilted liner as well as a VariableFlow venting system for temperature management. An all-Black option is obviously available, but Joe Rocket will be offering a Black/Red and vintage looking Black/Ivory as well. Wherever you choose to land your two-wheeled UFO, chances are that Joe Rocket has been there first. Blend in with the indigenous life-forms with these stealth jackets from outer space.